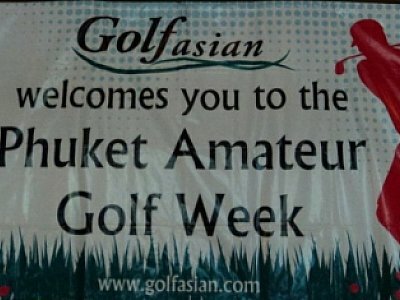 PHUKET: Twenty-two amateur golfers from all over the world descend on Phuket this weekend to compete in the Golfasian Phuket Amateur Golf Week which runs from July 24 to July 28. Players of all abilities and handicaps, both ladies and gentleman from countries including New Zealand, India, Australia and Abu Dhabi will test their abilities on Phuket’s best golf courses. Loch Palm Golf Club will host round one of the tournament on Sunday followed by round two at the Phuket Country Club. Wednesday is a rest day or practice day depending on energy levels. The tournament then turns its attention to the Blue canyon Country Club for round three and then the Red Mountain Golf Club on Thursday for the final round. Ian Morgan of Golfasian is delighted with the international response to the event. “It was an idea to have a tournament that people could play in as a fun event, meet other golfers, socialize and make new friends. The format will be Stableford with daily prizes, as well as overall prizes which will be handed out at the farewell dinner on the July 28 after the final round at Red Mountain. The plan is to make it bigger next year and I would like to get at least 40 players,” said Ian. Based in Bangkok the company has been involved with golf in Asia since 1997, and the aim of Managing Director, Mark Siegal is to develop a continuation tournament for Hua Hin in November, on to Chiang Mai in March 2012, before coming back to Phuket next July. Sunday July 24 Tournament round one. Monday July 25: Tournament round two. Tuesday July 26: Optional round. Wednesday July 27: Tournament round three. Thursday July 28: Tournament round four.